Gambians have celebrated a year since long serving leader Yahya Jammeh was defeated at the polls. The main event saw president Adama Barrow addressing citizens about the victory of December 2016 and warning that there was more work to be done to better the lives of the people. #Gambia, our togetherness strengthened us to uproot dictatorship. Let us continue to #unite and work hard for #National #development #NewGambia. Congratulations for #December2016 victory. 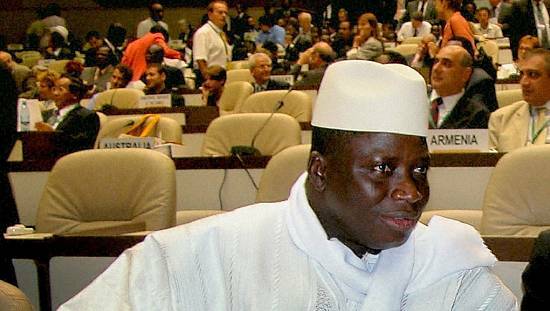 Jammeh until 2016 had been president of the Gambia for 22 years since he took power as a 29-year-old lieutenant in a bloodless coup. He kicked out the country’s first president, Dawda Jawara. Despite coming in as a 29-year-old he was to leave as a 51-year-old democrat who was known more for his autocratic ways and widely believed to be a person who abused rights of the media and of opponents. Jammeh openly conceded his loss in a televised address a day after the elections (December 2, 2016). He addressed the nation and was shown congratulating Barrow in a phone call. Things will, however, take a turn as he rejected the results a week later with the reason that the results were manipulated. “I want to make it very clear, in the same way I accept the results on the basis that the IEC is independent, I will not accept the result. I reject the results,” Jammeh announced. “I hereby annul the results and we will go back to the polls,” he added. He will go ahead to refuse the then ECOWAS leader’s visit to Banjul. Ellen Johnson Sirleaf’s plane was denied landing rights. A back and forth ensued from widespread condemnation of his move, ECOWAS sent mediation teams led by Muhammadu Buhari, some Gambians began fleeing for fear of violence. 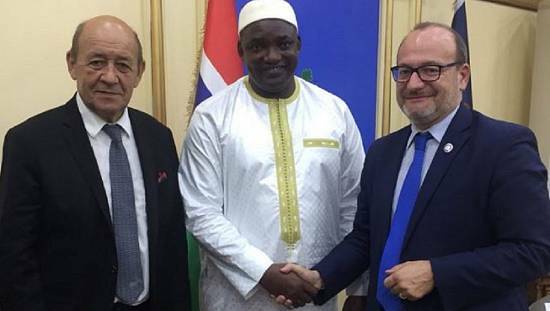 In the end, Barrow was flown by ECOWAS to Senegal where he took his first oath of office. ECOWAS prepared a force to oust Jammeh at the end of his mandate on January 20, 2017. He eventually accepted to go into exile after last minute mediation by Presidents of Guinea and Mauritania. He is currently living in Equatorial Guinea. The last that was seen of him was whiles he was clearing a farm land. 1. He was born on May 25, 1965 in his village Kanilai. 2. Then as a 29-year-old Lieutenant, Jammeh deposed President Dawda Kariaba Jawara on July 22, 1994. 4. Jammeh, the second president since independence in 1965, once vowed to rule for a billion years. 5. The first president took office in 1970 till Jammeh overthrew his government. 6. There was a failed coup in December 2014 when Jammeh was out of the country. He continues to accuse foreign powers of being behind attempts to remove him illegally. 7. Since coming to power, Jammeh was elected in 1996 and reelected continuously in 2001, 2006 and 2011. 8. 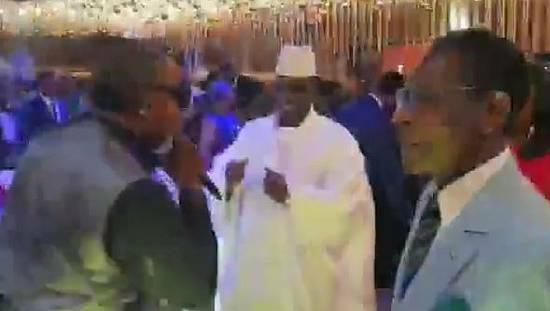 Jammeh is known for his charm and generosity but his human rights record is poor with arrests of opponents and journalists and torturing detainees as part of the blot. 9. He is on record to have claimed he can cure HIV, he also led a campaign against witchcraft in the country. He banned female genital mutilation in 2015 and again banned child marriage in 2016. 10. His last presidential act was the declaration of a state of emergency on January 19, two days to the end of his tenure. He is a deeply religious person who bears the titles of ‘Alhaji’ – someone who has undertaken the pilgrimage to the Holy City of Mecca in Saudi Arabia. He also has as part of his titles, ‘Sheikh’ – a learned Islamic scholar. He is always seen with the tasbih – the Islamic rosary and a copy of the Quran plus a wooden staff. Need i add that he always wears a cap, on his usually elaborate white outfit? 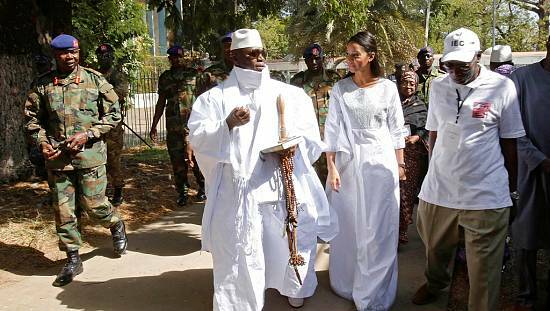 Jammeh declared the country an Islamic Republic in December 2015 as part of efforts to distance The Gambia from its colonial past. He also led the west African nation out of the Commonwealth and had officially applied to dump the International Criminal Court (ICC).